When my friend Jess mentioned she would be making this dish for the recent potluck playdate I hosted for Halloween, I was pretty excited. Granted, I couldn't really eat the pasta but what I was really after was the filling. It was absolutely divine! It was more cheesy than anything but the addition of pumpkin gave it a slight sweetness and richness that was perfectly fitting for the season. 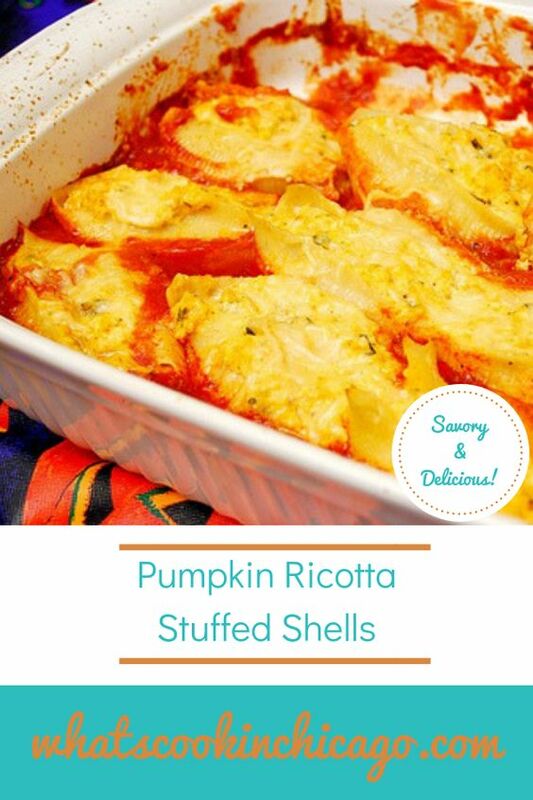 To make this gluten free, use gluten free jumbo shells (if you can find them)... otherwise make this dish into a casserole instead! I plan on making this with gluten free pasta and combining it with the filling. Bake it into a casserole dish and enjoy! Preheat oven to 350 degrees. 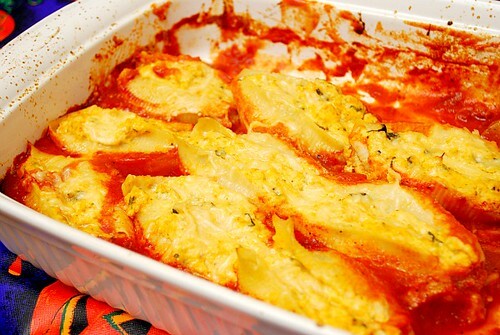 Spread the tomato sauce on the bottom of a 9x13 baking dish; set aside. Cook pasta shells per package directions; drain and toss with olive oil. Transfer to the prepared baking dish. In a large bowl, create the filling by combining the remaining ingredients and reser. Fill the shells in the baking dish with the filling. Cover the baking dish with foil and bake in the preheated oven for 30 minutes. Remove foil and sprinkle remaining cheese on shells. Bake for another 15 more minutes. What a great recipe! Love everything pumpkin, and this such such a creative use for it. Will be making this in the near future. I saw this in Good Housekeeping at a doctor's office yesterday and knew I had seen it on your site. After checking it out in depth there I knew I had to come back here and get the recipe!